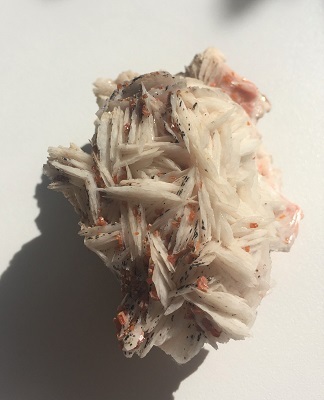 Burnt orange colored sprinkles of Vanadinite crystals on a matrix of white barite from Morocco. Vanadinite promotes order to one's life, helping one to define goals and pursue in an orderly manner. 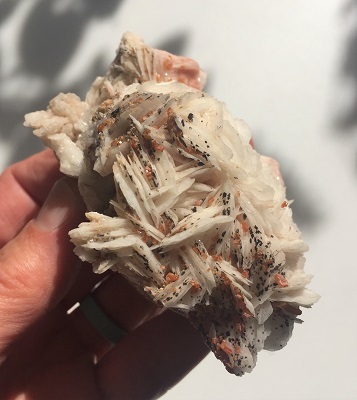 Vanadinite may be helpful in managing your resources as its vibrations guard against squandering energy and promotes the conservation of energy at the physical level. Vanadinite Crystals help to restore vitality levels in your life as they nurture and support your real self, encouraging one to step up and shine ON. Vanadinite energetically provides a balanced, grounded platform to let go and experience the creative flow in your life. White Barite is a stone of new beginnings helping to remove blockages and energetically connect to the higher self. 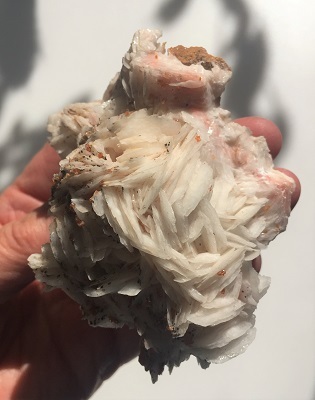 White Barite may be used for the renewal of intuitive energies and communication of new ideas and thoughts. White Barite gives one the incentive to “go for it” and assists with the manifestation of making your dreams become a physical reality. In healing, Vanadinite may be useful for breathing difficulties such as asthma and congested lungs. Vanadinite may be helpful in the treatment of chronic exhaustion and bladder problems. 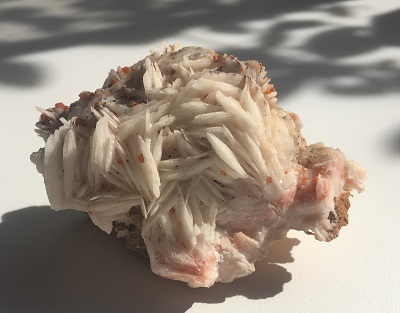 Barite may be used for removal of toxins from the body, to stimulate vision, and to assist in the recovery of addictions. Barite may also soothe and smooth the nervous system.